LINCOLNTON – Tom Sain, who guided seven of West Lincoln High’s nine varsity football teams that made the state playoffs, is leaving the sport. Sain told The Lincoln Times-News (https://www.lincolntimesnews.com/sports/west-lincoln-s-sain-to-step-down/article_5da7250a-2629-11e9-8e42-cf78bd00cb28.html) he’s resigned and moving on to more time with his family. He is stepping aside after the Rebels set a school record for wins last season by going 9-3. West Lincoln went 50-56 under Sain in the nine seasons since he replaced Mark Latham as head coach. Latham was at West Lincoln for two years, and Sain’s first team was in 2010. 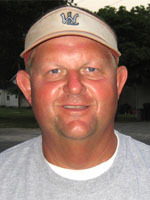 When Sain took over the Rebels had been to the postseason only twice in school history (in 2005 under Randall Gusler and in 2006 under Mark Hoover). Sain’s first four teams reached the state playoffs, three while in the South Piedmont 1A-2A, and his first team in the Southern District 7 Athletic 2A in 2013 also made the postseason. After back-to-back 4-7 seasons and no playoff bids, the Rebels went 5-7 in their last season in the SD-7 2A and got into the playoffs. In the last two seasons, playing in the South Fork 2A, West Lincoln went 4-8 and 9-3 and earned playoff bids. West Lincoln has not yet won a state football playoff game. Sain was the 11th head varsity football coach at West Lincoln — which began playing football in 1962 — and only one coach stayed in the job longer — Harold Warren (11 seasons, starting in 1990). The late Brennan Elliott, whose 58 wins are tops among West Lincoln head coach coaches, also was in the job for nine years (1965-1973). Last year’s Rebels set the school mark for wins by surpassing the eight won by teams coached by Elliott (1967, 1968, 1969, 1970) and Sain’s first team in 2010. 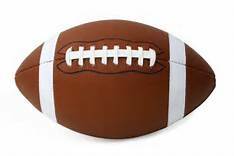 The change in head coaches at West Lincoln means there will be three new head football coaches in the South Fork 2A, as Bob McKay returns for a second tenure at Lake Norman Charter and published reports say former Patton head coach Joe Glass is the new head football coach at Lincolnton, pending approval by the Lincoln County Board of Education. Sain was to be the longest-tenured head coach in the league in 2019 at 10 seasons; that now becomes Will Byrne at Maiden, who will be in his fourth season. The other four South Fork 2A schools – Bandys, East Lincoln, Newton-Conover and North Lincoln — have each changed head football coaches since 2017: Tom Eanes had been head coach at Bandys for one season, David Lubowicz has been East Lincoln’s head coach for two years, Steven Pack has one season in at Newton-Conover, and Nick Bazzle has been at North Lincoln for one season.